The iconic Swedish furniture maker also partnered with Sonos to build a low-cost wireless bookshelf speaker. Swedish furniture manufacturer IKEA introduced two wireless speakers today, developed in partnership with Sonos, the market leader in multi-room audio. Information about the bookshelf speaker has been floating around the internet for several weeks, but the companies revealed today that they’ve also developed a table-lamp speaker. Both speakers will be marketed under the Symfonisk (it’s pronounced sim-fawn-isk) brand, though they will also be labeled with both the Sonos and IKEA logos. The Symfonisk Bookshelf with WiFi Speaker will sell for $99 when it goes on sale in August. That’s $50 less than the least-expensive Sonos speaker, the $149 Sonos Play:1. The Symfonisk Table Lamp with WiFi Speaker will land on the other side of that mark at $179. Hopefully, the fact that the label puts the Sonos brand before the IKEA brand is an indication that this line of furniture speakers will deliver Sonos-level performances. The bookshelf speaker can be oriented either horizontally or vertically. It comes with both a bracket for wall mounting, and hooks for hanging it from a kitchen rack. 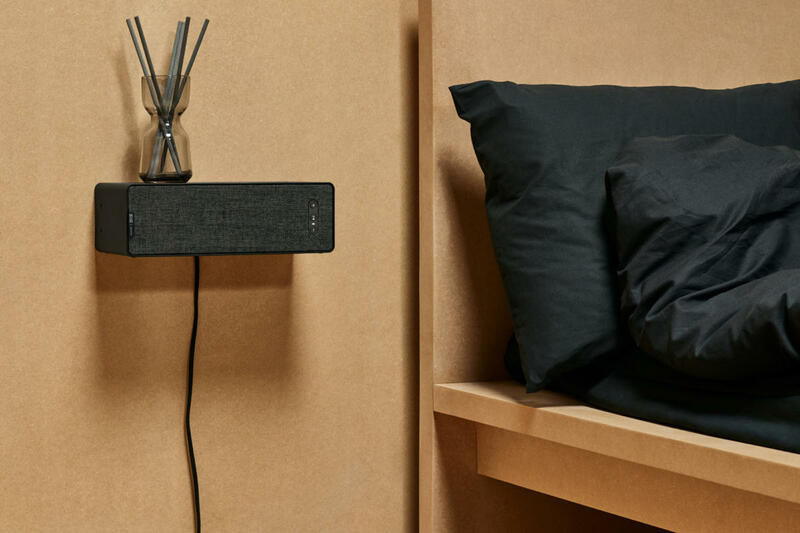 IKEA’s press release indicates that this speaker is strong enough support up to 6 pounds, 10 ounces of added weight if a homeowner decides to mount it next their bed as a nightstand or adjacent to a sofa or chair as an end table. The lamp speaker features one tweeter and one midwoofer in a sealed enclosure, while the bookshelf speaker has one tweeter and one midwoofer in a ported enclosure. Both speakers are powered by dual Class D amplifiers. The sizes of the drivers and the power ratings of the amplifiers have not been disclosed. I’ve confirmed with Sonos that both Symfonisk speakers can be coupled with a Sonos Sub, and a matching set (i.e., two bookshelf speakers or two lamp speakers) can operate as a stereo pair or function as the surround channels in a 5.0- or 5.1-channel sound system with a Sonos soundbar. 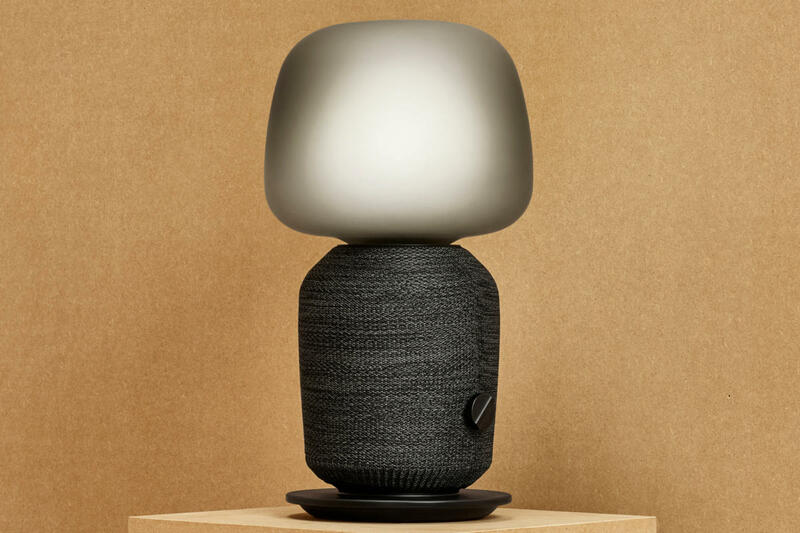 Neither model is a smart speaker that would be compatible with Amazon Alexa or Google Assistant, since they don’t have the far-field microphones needed for that task, but Sonos has confirmed that both speakers support the company’s Trueplay speaker-tuning technology. You’ll also be able to control the speakers from any other smart speaker, including the Sonos One and the Sonos Beam soundbar. This isn’t IKEA’s first foray into home audio or the smart home in general. The company has an existing line of inexpensive Bluetooth speakers as well as a collection of smart light bulbs (although the latter left us less than impressed). IKEA will sell the speakers online and in its brick-and-mortar stores. Sonos will not be selling the speakers through its retail channels.